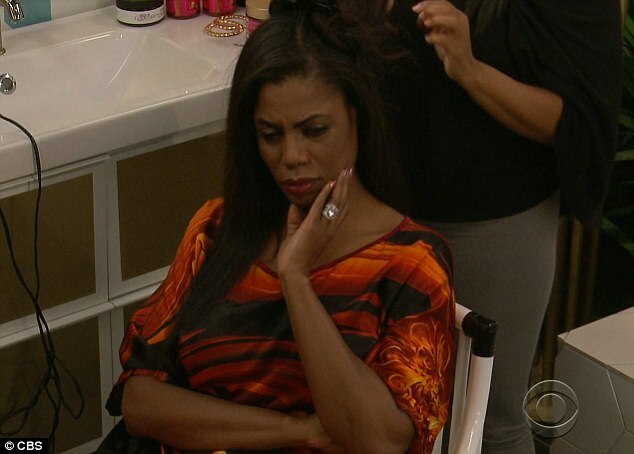 A competition on “Celebrity Big Brother” has apparently sent Omarosa Manigault to the hospital. The former Trump White House staffer and “Apprentice” star was treated for an injury stemming from the show’s “Head of Household competition,” according to a conversation between cast members in Friday’s episode. The former political aide was taken to the hospital around 3am after suffering injuries during a Head of Household competition in which she was hit by a ball during a spinning bowling competition. In Friday’s episode, two cast members were seen discussing Omarosa’s hit that occurred while live feeds were down. “Omarosa had everything to lose, I mean, I put her in the hospital,” Marissa Jaret Winokur told fellow contestant Ross Mathews. While chatting, Winokur referred to an incident in the show’s previous season, where a cast member voted to evict someone from the house while at the hospital, explaining that Manigault would still be able to participate in the show. Specifics of the game and the extent of Manigault’s injury are unclear, however TMZ reported that the contestants were required to spin around until they were dizzy and then bowl.